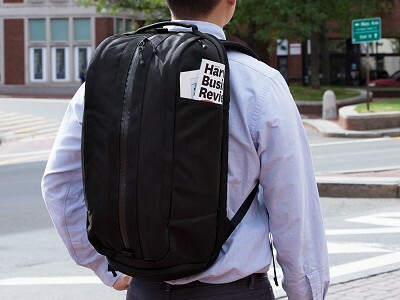 “Using is believing” when it comes to the backpacks, gym bags, and commuting bags from Aer SF. They look like standard (albeit, attractive) bags at first glance. But when you use them, you’ll experience how their brilliant details streamline your day. Every feature—from the waterproof skin and heat-sealed zippers to a ventilated shoe compartment—adds ease to your routines, whether going from the work to the gym, or off for a long weekend. Each bag is set up to stay organized. There’s even a long zipper that gives you full access to its interior so you don’t have to empty it to find something. Inspired by the fast paced tempo and modern architecture of the bustling city, Aer bags help you go through your day with polished agility. Hello Grommet fans! 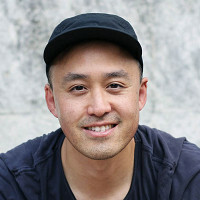 I'm Allen Choi and I founded Aer in 2014. Our goal is to create bags that simplify the way you carry your everyday essentials. Our Active Collection is designed to help you go from the office to the gym without the hassle of carrying multiple bags. We're thrilled to share our story with The Grommet community and we'd love to answer any questions you may have. This "looks" so much like something my 30+ son needs. His birthday is hear and he has been a runner for years. He travels constantly and became involved with maui tai (sp) recently-do you know if this would be appropriate for maui tai classes? @Debora Hi Debora! Our bags would definitely be appropriate for muay thai classes. Depending on how much gear your son carries to class, I would recommend either the Duffel Pack or the Gym Duffel. For a traveler like him, the Duffel Pack is easier to carry because it is a backpack, but if you're looking for more space for his muay thai gear (gloves, wraps, etc.) the Gym Duffel is a good choice. Will the gym bag fit into a standard sized locker? How many side pockets does it have? Why is it so horribly expensive? @Andy Hi Andy! Yes, the Gym Duffel will fit into a standard sized locker. Standard lockers have a depth of 15-18 inches, and the Gym Duffel is 21 inches on its longest side, so you can fit it vertically as you would any duffel bag. The Gym Duffel features an external vertical zipper pocket for quick access, a back pocket for clean clothes, a padded laptop compartment, a front pocket with smart interior organization for accessories, an internal and external water bottle holder, a separate shoe compartment, and more interior organization in the main compartment. In short, there are a ton of "side" pockets. As for your question on cost, our bags are made from the highest quality materials, including ballistic nylon, YKK zippers, and Duraflex plastic hardware, which are best in class in the industry. 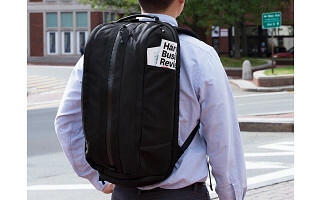 “Using is believing” when it comes to the backpacks, gym bags, and commuting bags from Aer SF. They look like standard (albeit, attractive) bags at first glance. But when you use them, you’ll experience how their brilliant details streamline your day. Every feature—from the waterproof skin and heat-sealed zippers to a ventilated shoe compartment—adds ease to your routines, whether going from the work to the gym, or off for a long weekend. Each bag is set up to stay organized. There’s even a long zipper that gives you full access to its interior so you don’t have to empty it to find something.